← Where exactly is all this content in Facebook, Twitter, et al. coming from? I’ve used news feeds and feed readers for as long as I can remember. But Chris’s recent post got me thinking about the RSS tools I have used over the years and I remembered that for me it all really started with NetNewsWire. I have not used it for years and I had assumed it was dead. I am happy to learn that NetNewsWire is alive. I downloaded the trial version for macOS and iOS. 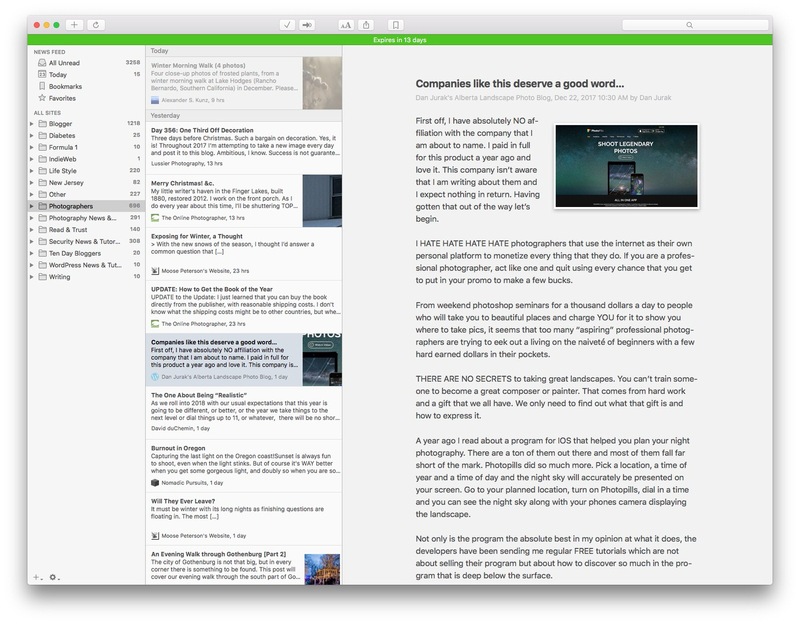 I’ll use it for a few days and compare to my experience with Reeder. Just because of … “nostalgia”. NetNewsWire was one of the first RSS readers I used.